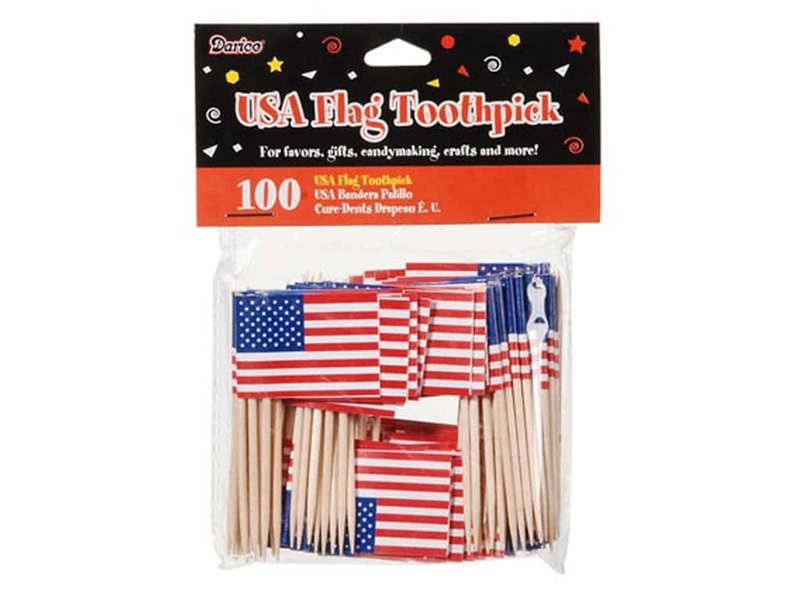 Description: Darice USA Flag Toothpicks are just the thing to top off burgers, hors d'oeuvres, cupcakes and more! Great for parties, special events and all types of fun gatherings. Flag measures approximately 1 1/4 x 1 inch. 100 pc.